It is hard to believe, but it is true! Yes, summer has well and truly ended. It seems that Autumn (Fall for some of you) has missed the memo and this week, after a bout of summery weather over the beautiful weekend, winter has dumped on a lot of wet and cold on us. But fear not! This coming weekend, it seems that the sun will be winning in the stakes and peeping out to shine on us for a little while longer! 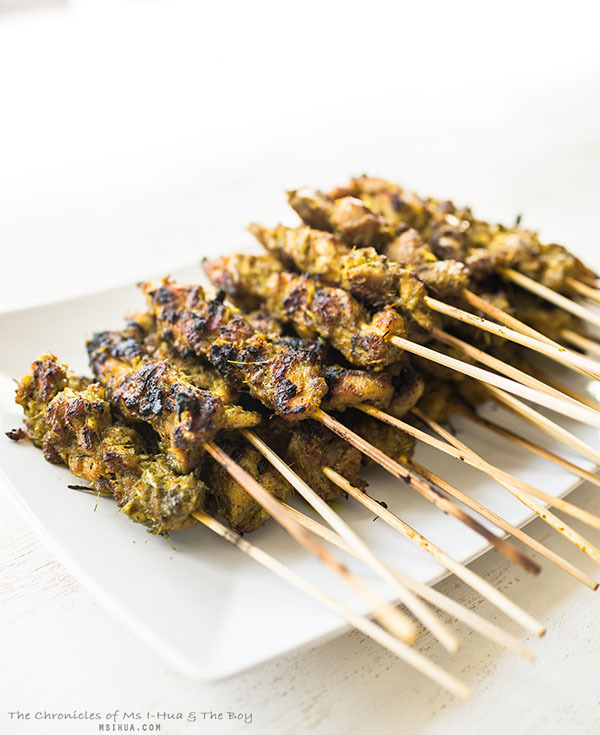 To enjoy (and to prolong) whatever is left of summer in your backyard, we’ve decided to share with you a new favourite recipe of the Malaysian Chicken Satay using our new Heat Beads® BBQ Chimney Booster. If you think the words satay are synonymous with peanut sauce, you’re not really understanding the concept at all. 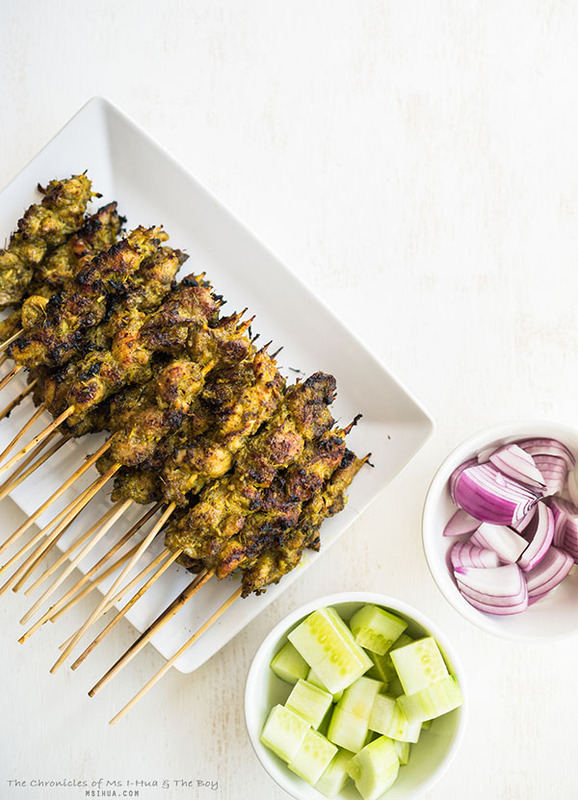 Satay is all about the meat. 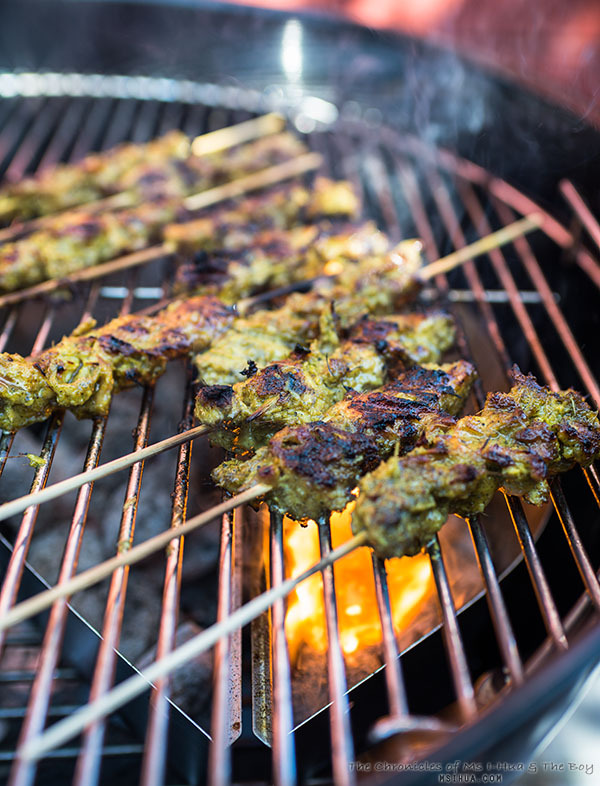 All about the lovely meat on skewers that have been cooked to perfection over coals. 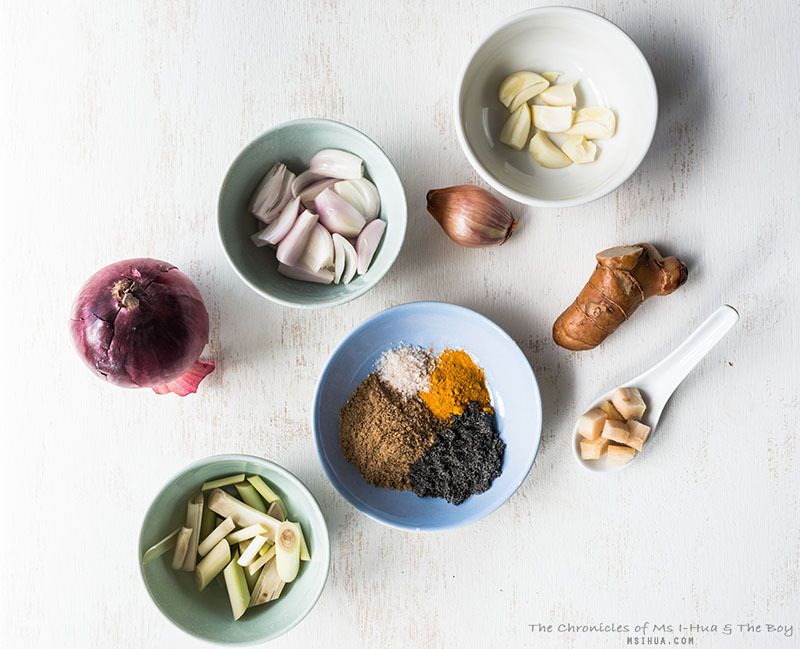 So we thought, what better way to test the Heat Beads® products out, than by cooking Chicken Satay through this cooking experiment to see if it yields the same, or better results than when cooked with charcoal? Just before spring ended last year, The Boy purchased a Weber BBQ Kettle with an in-built thermometer. Since he’s bought it, we have used it a grand number of ONE time 😛 It lives in our living room. Uhuh! Webby doesn’t get out much! 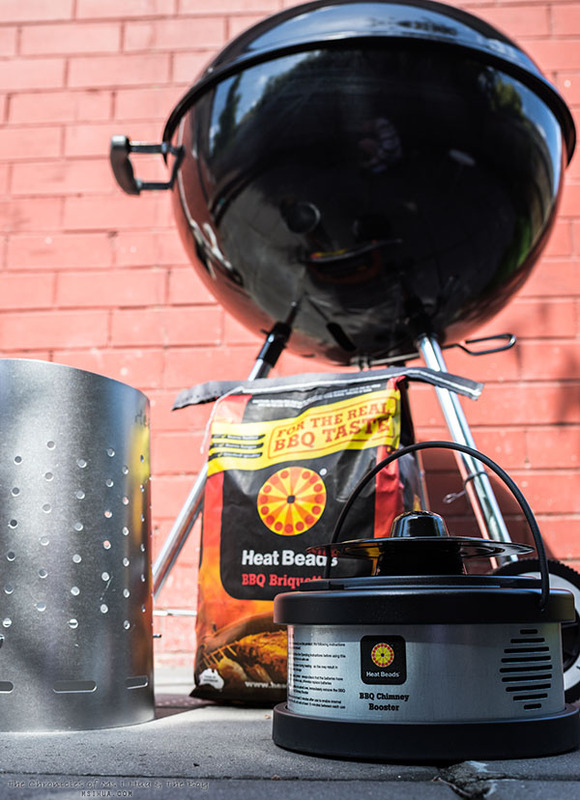 So when Heat Beads® contacted us to see if we would be keen to try out their new Heat Beads® BBQ Chimney Booster before the cold weather hit, I took charged and said yes! 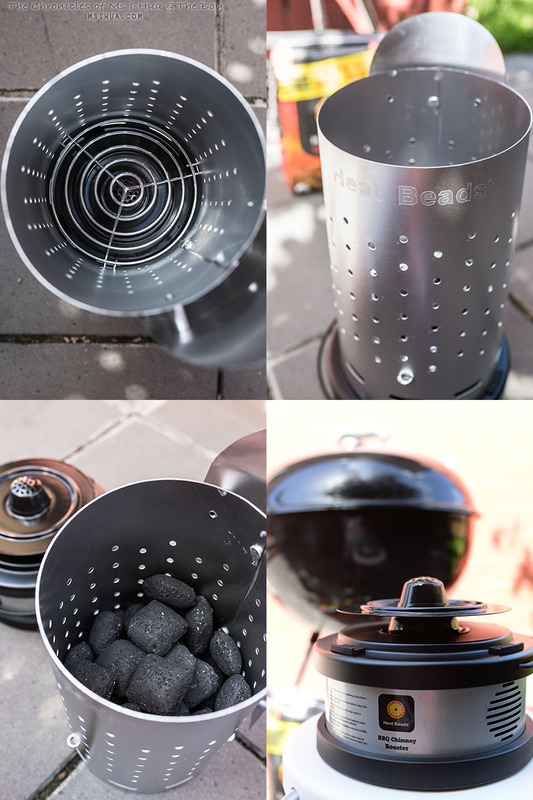 So what is the Heat Beads® BBQ Chimney Booster? I’m glad you asked, because we are really super duper impressed with it. 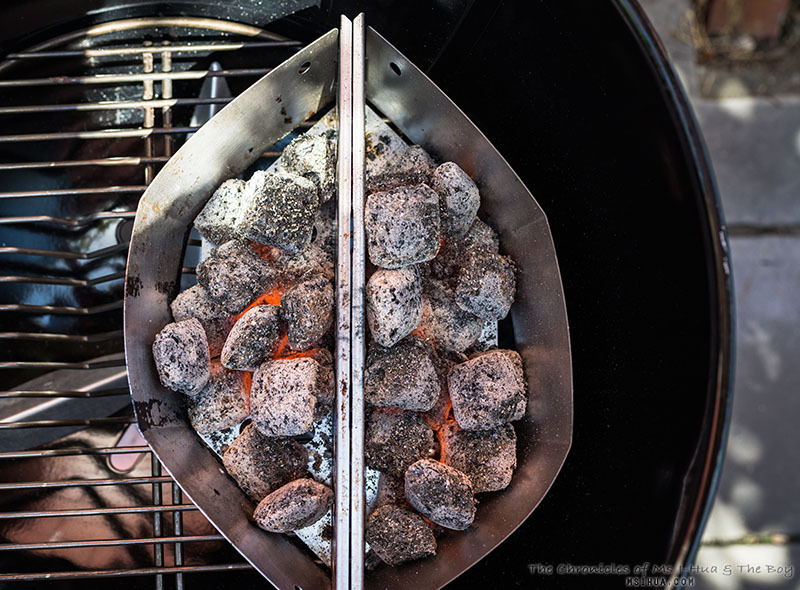 Think about all those times it has taken you in lighting up a traditional charcoal fired bbq. It takes forever! 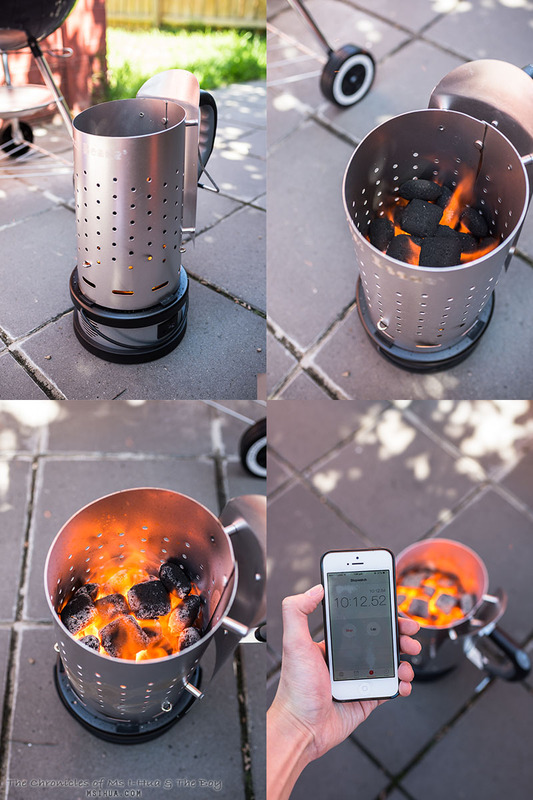 With the Heat Beads® BBQ Chimney Booster, the time it takes to heat up the briquettes is sped up to 12 minutes (depending on wind conditions and outside temperature)! That’s so quick! Like you, we were a bit sceptical at first. So as The Boy was setting up outside with the equipment, I wandered back into the house to start prepping on the marinated chicken meat. Next thing I knew, The Boy had come back into the kitchen and was hassling me for the food! I hadn’t realised it would have been so quick! It took us about 10 minutes for the Heat Beads® Briquettes (filled 3/4 of the chimney) to be ashed over. This means on busy worknights, it won’t take long to fire up the BBQ for weeknight dinners! So, we know you want to know. 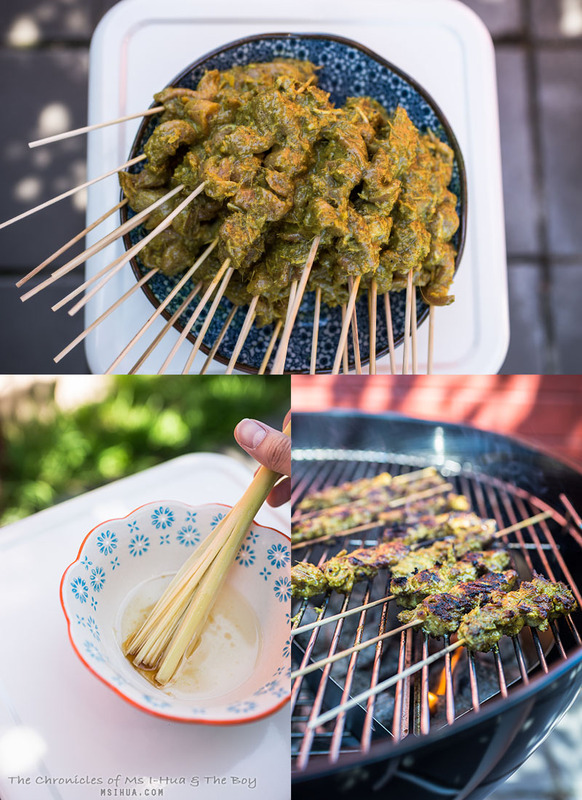 How did the final product of the satay taste? Did it still have the wonderfully smokey BBQ taste that is so reminiscent of street food? It definitely did! I did spare a quick thought for our poor neighbours having to smell such deliciousness wafting through their back-yard. But only for a short moment, as I was instantly distracted with the thought of being able to sink my teeth into the satay! So, if you have the tools (and if you don’t, scroll down to find out how you can buy them), roll up your sleeves and start marinating! Your BBQ is waiting! To start, if you are using whole coriander seeds or whole cumin, dry-roast them in a pan until fragrant. Grind in an electric spice/coffee grinder and set aside. Using a food processor, blitz the galangal, lemongrass, shallots and garlic well. Remove into a large metal or glass bowl. Stir in the brown sugar, turmeric, ground coriander and cumin until a wet paste is formed. Add in the chicken pieces and mix thoroughly with the spice paste. Cover the bowl with cling wrap. 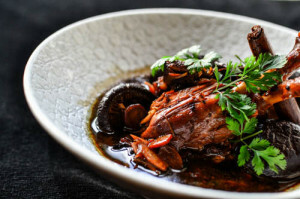 Set aside in the refrigerator for at least 5 hours or overnight. When the meat is ready, pierce about 3-4 pieces of meat (through the centre) onto each skewer. Depending on how you have cut the pieces of the chicken and/or how generous you are with each skewer, you could end up with 25-30 skewers. 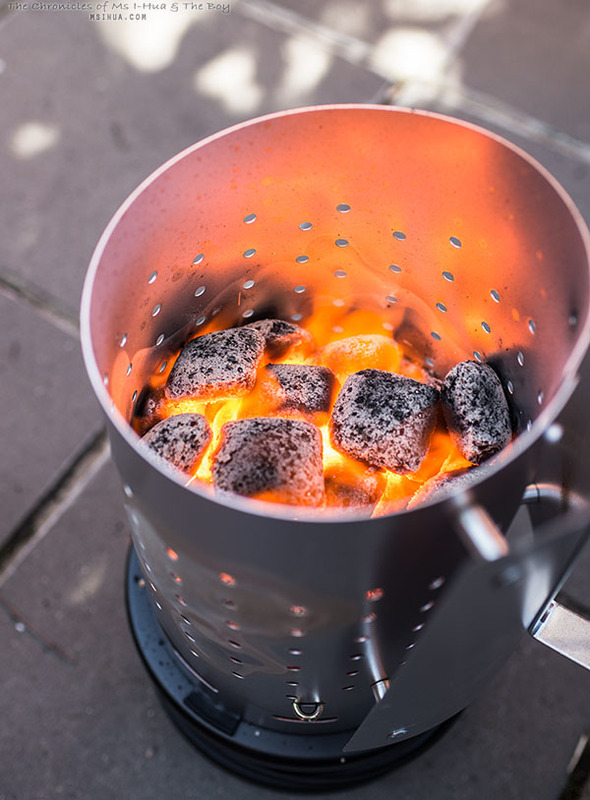 Once all the meat have been skewered, fire up your Heat Beads® Briquettes in the Heat Beads® BBQ Starter Chimney with Heat Beads® Chimney Booster. 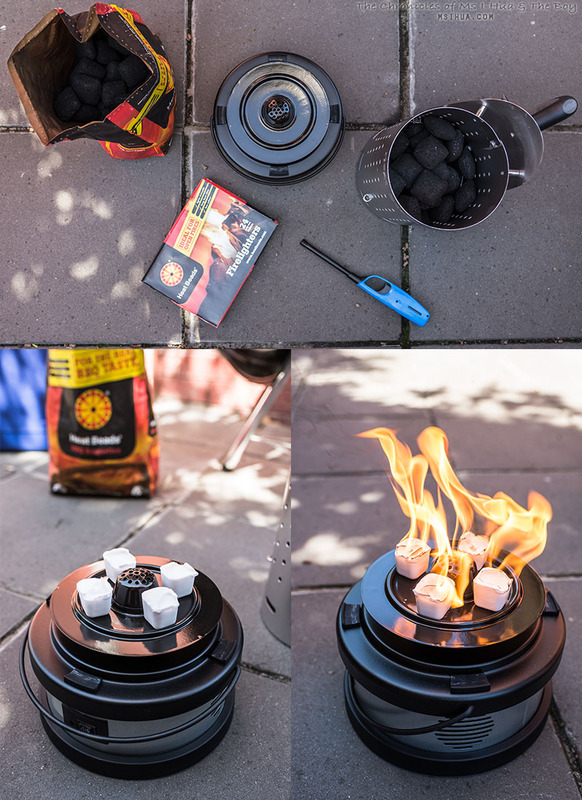 Once the Briquettes are ready, transfer them into your Kettle BBQ. Lay out the skewers in a row. 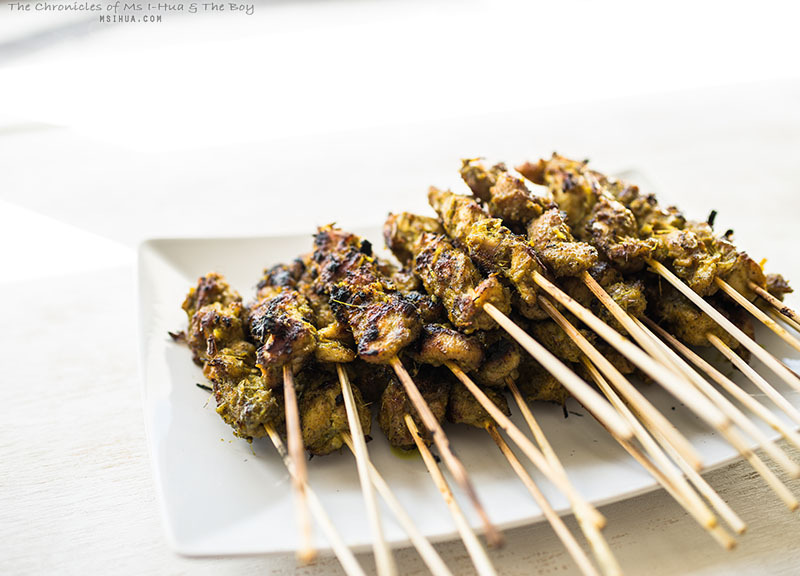 [Optional] Dip your lemongrass brush into a mixture of oil and a small amount of honey and lightly brush over the satay skewers to keep them moist. Once the meat is cooked, removed from BBQ and serve immediately with cucumber and red onions. 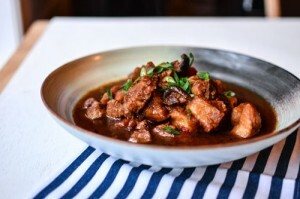 Why did we omit the spicy peanut sauce with this recipe? Two reasons. Firstly, we wanted to focus particularly on the quality of the barbecued meat and the taste of the meat using the Heat Beads®. Secondly? We were just too lazy to make it. It’s worth it if you have the time to make it from scratch, but the end result was so tasty, that we didn’t even need the sauce to go with it! Alternatively, if you really need the spicy peanut sauce, you can always buy a good pre-made version in a can. So what do you think? Did we manage to convince you that the Heat Beads® products were pretty cool and worth a shot? 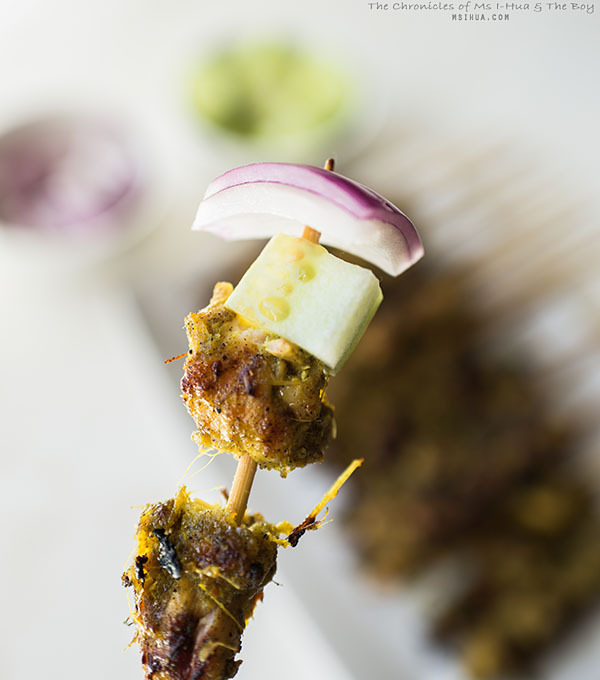 It definitely passed with flying colours with the smokey aroma and authentic BBQ taste of our street food test with the Malaysian Chicken Satay recipe! YAY you got a new weber too 🙂 I really like the new Chimney Booster it use to take us at least an hour to light up the Heatbeads haha yummmm I love chicken satay and always order it when we go to Malaysian Restaurants!